At Gold Key Auto Group, we are happy to provide you with an inventory of amazing new and pre-owned Audi cars. One of these is the Audi RS5, which is designed to look and feel like a sports car. The Quattro® all-wheel drive and an available sport rear differential boost its performance even further. So why not come check out one of our many Audi RS5s for sale in Langley. With the 18" 5 double spoke star design wheels and Full LED headlights you will turn heads in your ride. The interior is incredible too with leather seating with diamond stitching & S embossing. Some models even offer pneumatic side bolsters and a massage function for the driver and passenger. Create the mood of your choice in the car with customizable LED interior lighting that offers 30 different color profiles. The Audi RS5 provides a lot of storage options with 11.6 cubic feet of cargo space and a 40/20/40 split folding rear seatback. You can indulge in a host of entertainment options with the fully digital 12.3-inch screen that provides navigation. Use interfaces like Apple CarPlay™ and Google™ Android Auto™ to connect with compatible smartphones and access calls and emails easily. Choose between classic and infotainment modes, Google Earth and Google Street View options. The car also includes a Wi-Fi hotspot which can connect up to eight passenger devices. Get incredible sound quality with the Bang & Olufsen® sound system with 3D sound. This has 19 speakers, 16-channel amplifiers and 755 watts of power. You can lock, unlock and start your RS5 Coupe remotely with the standard Audi advanced key. Front and rear acoustic sensors detect and alert you to nearby obstacles. A rearview camera provides you with more information while reversing. Audio pre-sense® basic readies the car in emergency situations by closing the side windows and sunroof, tightening front safety belts and preparing the brake system for a quicker response. Audi pre-sense® city prevents collisions with cornering and stationary vehicles and pedestrians. Come to our Langley dealership and take the Audi RS5 for a test drive. We'll look forward to seeing you! We're proud to have served our customers for over 30 years. From sales to service, our staff goes above and beyond. We offer state of the art showrooms and service centres. We're a premier dealer in the BC lower mainland region, having served the community for more than 30 years now. You can browse our online inventory and find the new or pre-owned vehicle you need. 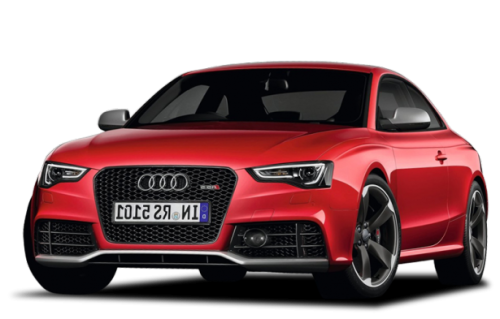 We're pleased to present you with the Audi RS5, a car that has taken the world by storm. Designed like a sports car, it has a 354- hp engine. This gives the car phenomenal power and makes it dominate the road. Its performance is further enhanced by a gripping Quattro® all-wheel drive and an available sport rear differential. The Audi RS5 doesn't just run like a sports car, it looks like one too. The power dome hood, wave-design shoulder line and sculptural Singleframe® grille make this a car that it's hard to turn away from. Available contoured full LED headlights and an ambient LED interior lighting with 30 different color profiles light up the car and the night. The 19-inch 5-spoke Cavo design wheels with contrast finish and aluminum-optic double horizontal blade bars put the sports car brawn of the RS5 on full display. The Audi RS5 is designed using the latest entertainment technology. It's provided with a 12.3-inch screen that gives you information like navigation. You can connect your smartphone to it and easily access mail and calls while driving using Apple CarPlay and Android Auto interfaces. MMI navigation plus provides a wifi hotspot for up to 8 passenger devices. The car features a state-of-the art Bang & Olufsen sound system with 3D sound. The Audi RS5 features the latest in safety technology. The rear-view camera gives you additional visibility when you're backing up. The front and rear acoustic sensors detect and alert when you're near an object. Audi pre-sense basic reacts to emergency situations or unusual maneuvers by closing the windows and sunroof, tightening seatbelts and preparing the brake system to respond quicker. 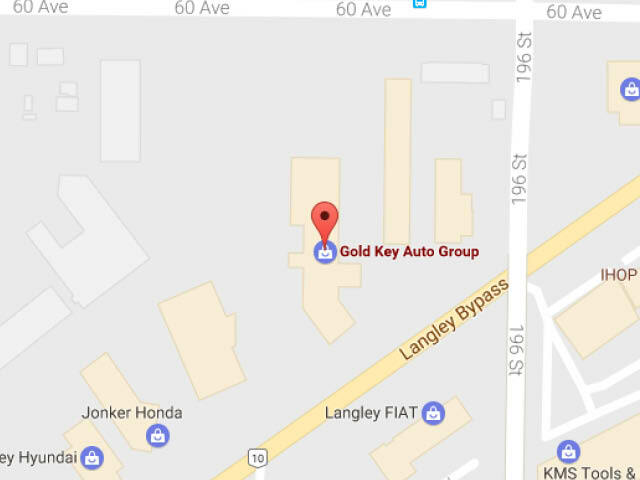 At Gold Key Auto Group, we don't just follow the standards set by other automotive groups, we set the gold standard for service and selection in the Lower Mainland. At each of our dealerships, we offer an amazing array of top-quality vehicles that come loaded with all the coolest features and latest technology. We're proud of our inventory, but it's our people that make all the difference at Gold Key Auto Group. Whether you're just browsing, ready to buy, exploring financing options, searching for the perfect part, or visiting the trained technicians in one of our state of the art service departments, you'll find an unwavering commitment to your satisfaction. Stop by, and discover why we're the premier auto group in the Lower Mainland! Go for the Gold, at Gold Key Auto Group! We have had nothing but excellent service at Langley VW. I am happy with the courteous help and service at this dealership. Service of my previous VW and the purchase of my new one have been great. Thank you to the all the staff. Recently bought myself a vw from here. The service was excellent, the staff members were very friendly and accommodating. The sales representative Sara K was the one helping me. Very detailed and thorough. Sara was understanding of what I was looking for and made great recommendations for me without putting any pressure on me, as I am only 21. I felt very comfortable and confident with the guidance from Sara and feel great about my purchase. This was a very professional and positive experience and would give Goldkey Langley a sincere recommendation to anyone.